The Bureau is suspected of illegal tapping. Prosecutor General's Office conducts searches in the National Anti-Corruption Bureau, chief anti-corruption prosecutor Nazar Kholodnitsky told TV Channel 112 Ukraine on 5 August. NABU spokesperson pledged to issue official comment soon. According to media reports, investigators produced a court's warrant to conduct a search as part of an investigation into illegal wiretapping of telephone conversations by NABU officers. Special security force Alpha was reportedly seen on the scene. In the meantime, NABU spokesperson Daria Manzhura told Ukrainian News that the PGO has not searched the building of the Anti-Corruption Bureau. "They did nothing. [Prosecutors] came to us, we have explained the situation. There was no search," Manzhura said and added that nothing was seized. In an official release, NABU said that that the Bureau is working in a normal mode. "On August 5, the building of the National Anti-Corruption Bureau at 3 Surikov St. in Kyiv was visited by a group of investigators from the Prosecutor- General's Office with the intention to conduct a search. The group is headed by the chief of the PGO department for investigation of criminal cases in civil service and property fields Dmytro Sus. In support of the legality of their actions, PGO officers produced a search warrant. It was issued by a court within the investigation of a criminal case that was open on 04.22.2016 on illegal wiretapping of telephone conversations by NABU staff of one of the defendants in the criminal proceedings, the Bureau has been which investigating," the release reads. NABU says it has shown the prosecutors the documents confirming the legality of NABU actions, and explained that under the current legislation, NABU has no authority to wiretap and has to rely on SBU capacities, so the facts cited as grounds for the search, as well as the information, filed into the Unified Register of pre-trial investigations in the framework of given case, are false. "Noteworthy, this case was open in April, immediately after NABU has initiated public discussions regarding providing the Bureau with the right to wiretap. For three months, this case has been shelved, and now, when the relevant bill has been prepared, coordinated and submitted to the Verkhovna Rada, investigators come to the National Bureau with a search warrant. Another interesting point the [Criminal Code] article, under which that case was open do not fall within the competence of the division, headed by Mr. Sus," the NABU director Artem Sytnyk said as quoted by his press service. In order to avoid possible provocations, the law enforcement group by NABU was involved. Any media reports about the use of SBU's Alpha squad are untrue, the Bureau concluded. Meanwhile, a spokeswoman for prosecutor-general Laryssa Sarhan claimed that investigators have conducted the seizure of NABU documents. 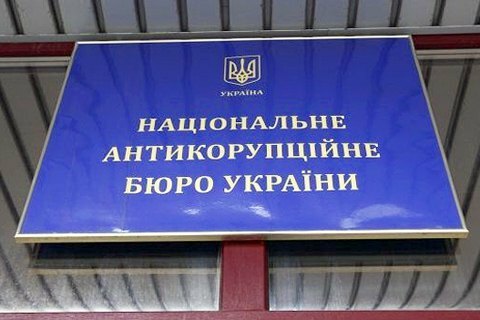 "The Prosecutor-General's Office is investigating the fact of illegal wiretapping of an individual in criminal proceedings, investigated by NABU. The seizure of the documents will allow prosecutors to establish the perpetrators," she wrote on Facebook. Earlier, the Anti-Corruption Committee of the Verkhovna Rada endorsed the bill, which gives NABU the powers to conduct independent wiretapping of channels of communication. NABU chief Artem Sytnyk said obtaining wiretapping powers was one of the requirements of the International Monetary Fund. Currently, only the National Police and the Security Service have such powers.